Infographics combine data and images to tell a story. This guide will help you find and use infographics for class projects and in everyday life. Be sure to scroll down on each tab to see all of the examples. Click on each image to see a larger version. "A good infographic is worth a thousand words." Infographics are used to make complex data or statistics easy to understand. They can also help show the relationships between different sets of data. This research guide provides resources to build your infographics knowledge so you can find and use them appropriately for class assignments. Created by Hot Butter Studio. Storytelling--Tell a story in a short amount of time. Accessible Data--Take complex data and break it down into easy chunks. 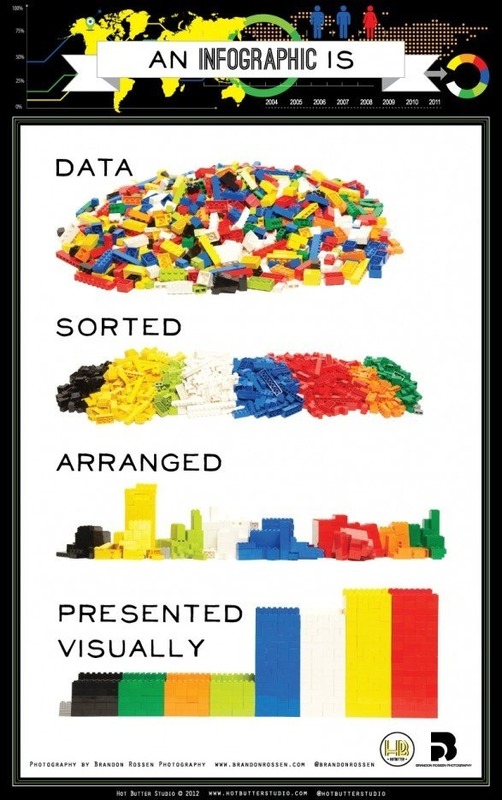 Effective Communication--Present data and information in a graphic form that is easy to understand. Visually Appealing--Look good with the right balance of graphics and text.